One of the things I love most about D.C. is how you get a different vibe from one neighborhood to the next - sometimes even from block to block. As I was snapping these pictures by the Georgetown waterfront, I found myself thinking how awesome it was that this amazing view/scenery was just minutes away from bustling streets, highrise buildings and government offices. In fact, it reminded me of the river in the town near where I grew up, which might as well be the polar opposite of D.C. And yes, it literally had only one stop light! A boat tour sounds so fun and these pictures are gorgeous! I am loving that bag so so so much! Never knew you could do boat tours around here...looks like I've got to get on that! You look great! 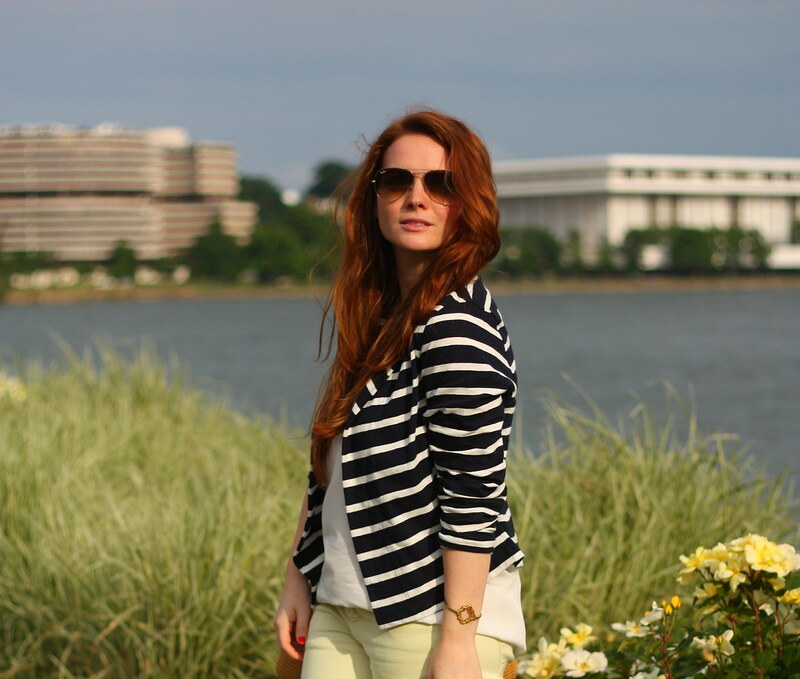 Awesome striped blazer! I need to go browse Georgetown again before it gets HOT! 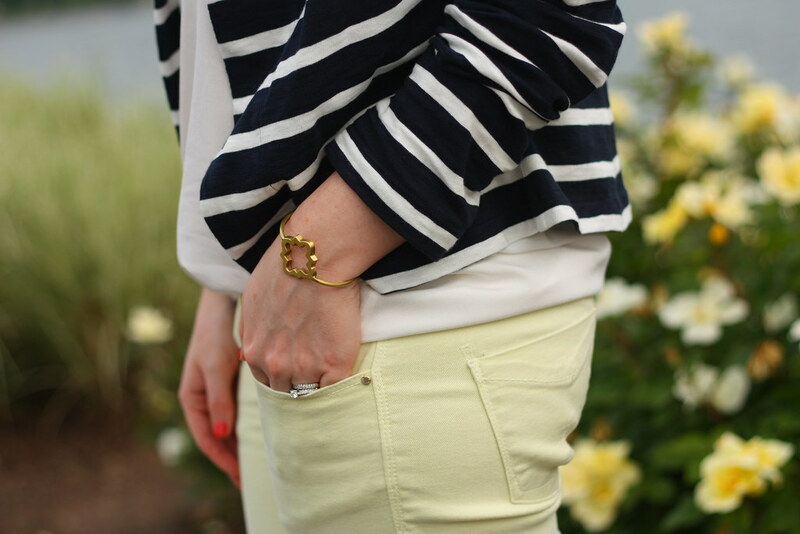 Love nautical looks and I'm loving that bracelet! Where is that from?! I seriously love your hair!! So pretty! Great outfit! Love that little bracelet. So delicate and cute. Would look fabulous layered as well! I totally got caught in the rain too-- boo! The before pictures are great though!